Fashion weeks are meant to promote the upcoming season’s trends all the whilst showcasing designers’ soon to be launched collections. In NYC, one of the world’s fashion capitals, fashion week happens biannually : Once in February to promote the Fall/winter lines and once again in September, for the spring summer collections. I had the opportunity to attend the most recent fashion week and have returned home with many photos but a lot more inspiration regarding this season’s hottest trends. From leopard and neon to bedazzled hair accessories, I’ve got your Fall 2018 trends covered! 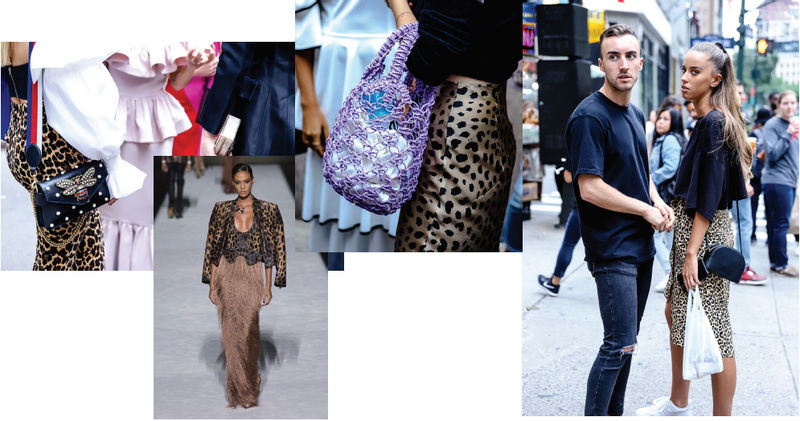 Leopard is the first trend I came to notice upon beginning my NYFW adventure. Tom Ford kickstarted the week with a bang with his show at Spring Studios, including a wildly famous cast of models ( Kaia Gerber and the eldest Hadid sister, Gigi, to name a few) on the eve of fashion week’s official beginning. Though Ford’s staples were obviously included ( tailored-to-perfection blazers and dark overcoats) so were rich leathers and potent leopard prints. But the leopard print was not restricted to Ford’s runway. In fact, leopard was all the rage in the streets of New York. From leopard skirts, to trousers, to accessories, I couldn’t be more pleased to notice my favourite print ornate the streets of Manhattan. 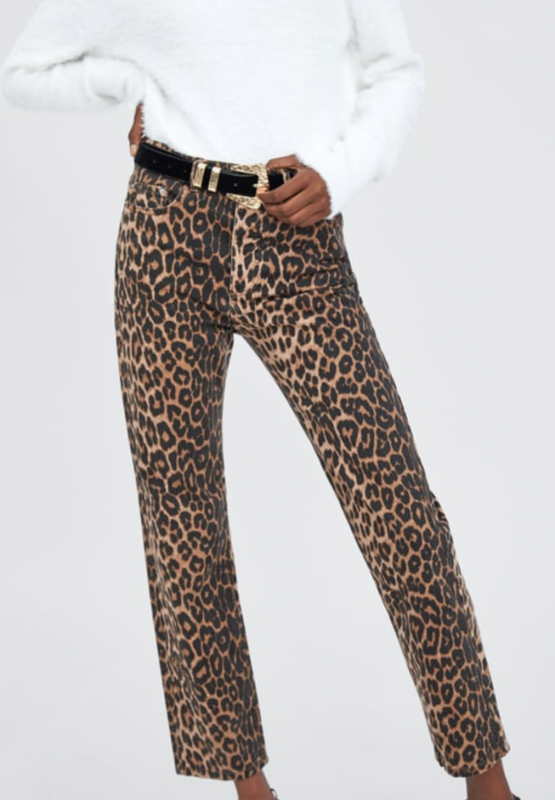 These Printed denim jeans are the perfect fit, with a high rising waist and boot cut ankle, without mentioning being the perfect shade of leopard. Light enough to liven up an outfit but sombre enough to be worn all the way through the upcoming chilly months. Get them for a steal at ZARA this fall. As seen on the streets of NYC, midi pleated skirts are making a strong statement this fall and this particular one from H&M Is an excellent catch. Neon is probably the trend that comes and goes most frequently, to some’s excitement and other’s despair. We all remember the back to the 80’s moment we had recently, circa 2010, and the disastrous fashion that came along with it. Fuchsia pink headbands worn ACROSS the forehead and highlighter yellow American Apparel hoodies were all the rage and have made me embarrassed of every single photo of myself dating back to middle school. But this time, neon has come back and climbed up the echelons of fashion to arrive at it’s much anticipated destination : couture. We saw it make it’s first appearance with Prada in their f/w 2018 campaign and most recently at this year’s fashion week on the christian Siriano S/S 2019 runway. The colours were vibrant, yes, but in a more refined and grown up kind of way. 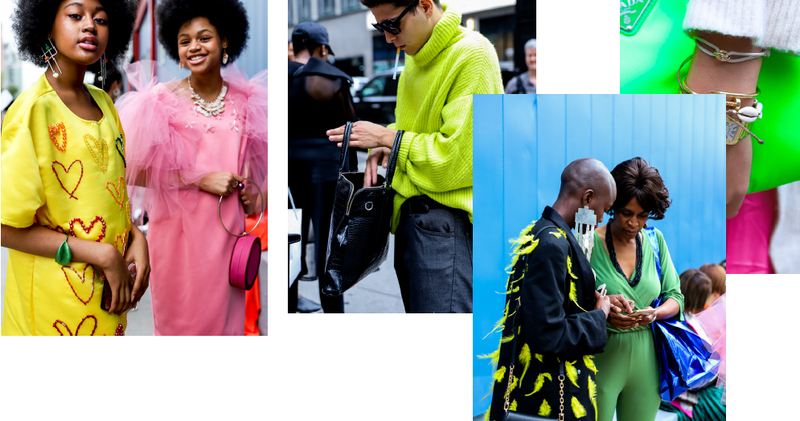 Neon was less obnoxious this time and a lot more sophisticated, often coming in the form of an accessory or garment that is meant to subtly enlighten the outfit, not overpower it. This Zara sweater is the perfect shade of lime. Identical to the one spotted on the streets of NYC, this one retails for $59.99. Card holders are the new clutches. Use them to store all of your essentials ( In all honesty, how many cards do you really need?) or as a minimalist bag itself. 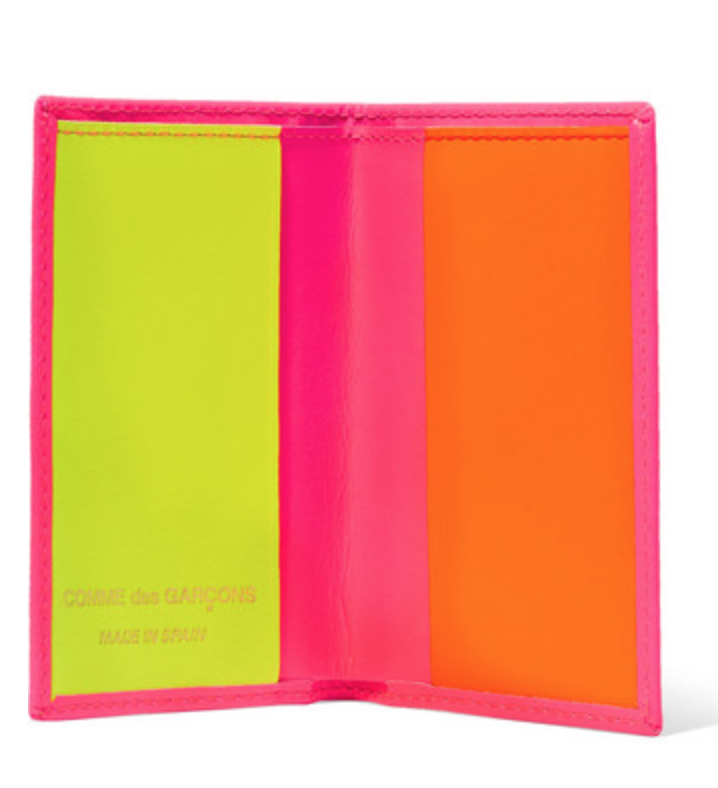 The colours are bright and vibrant yet the size of this Come Des garçon card holder will allow it to subtly embellish your day-to-day outfits. We got to see this ever-growing trend a while back on the Versace Runway and it has been on the climb ever since. 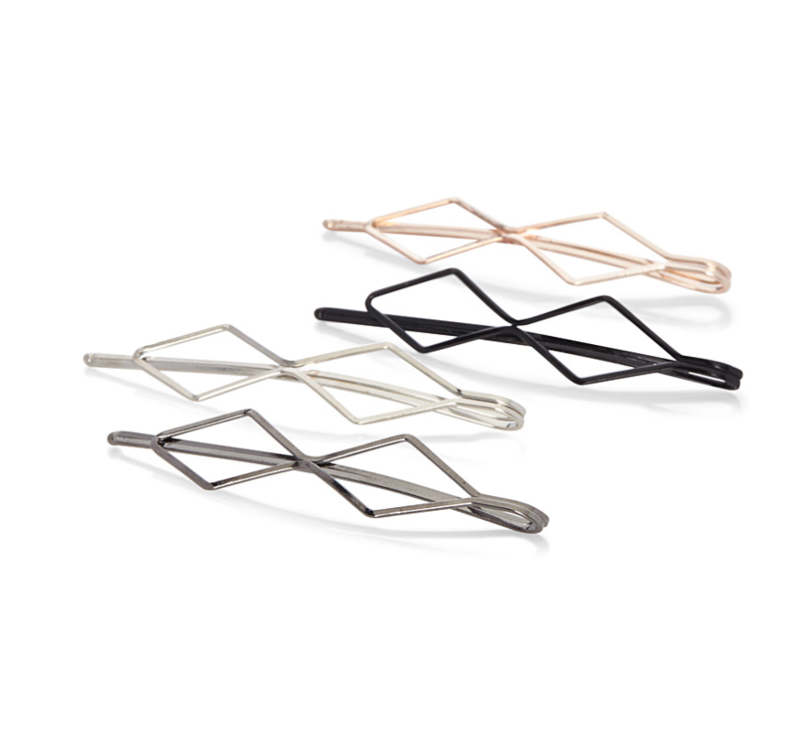 Hair accessories, like embellished bobby pins or decorated hair clips can enhance the simplest of hairdos. 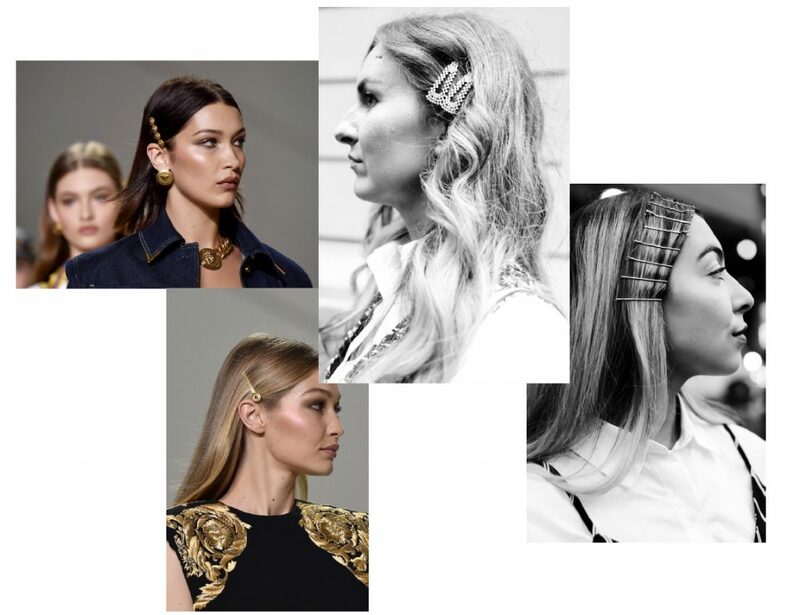 They offer an alternative to traditional jewellery and can actually be pretty practical ( trust me, getting your hair out of your face while rushing from one runway to the next is truly a workout). 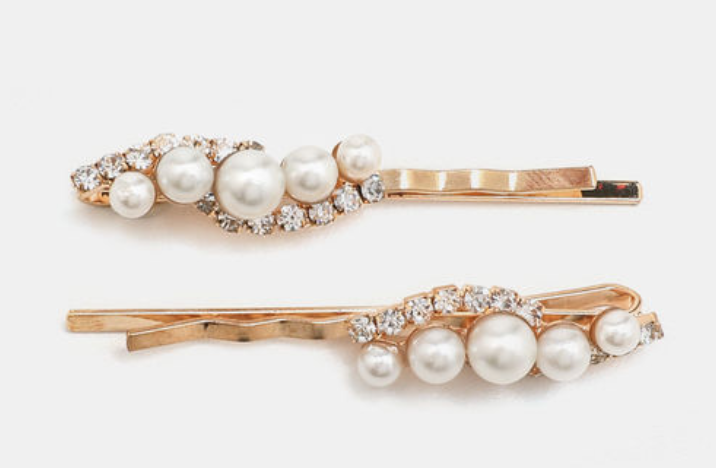 These gorgeous decorative bobby pins are perfectly balanced ; a little bit of shine, and a lot of pearl. Stack them all you want, each pack of two is only $2.90! I love these gold barrettes and the array of colours they are available in. These are a little pricier than those mentioned above but also come in a set of four, allowing you to be as versatile as you’d like. And last but not least, we’ve got my favourite trend of all : BLAZERS. I personally have always been obsessed with blazers. I wear them over a simple white t shirt and jeans, pair them with shorts in the summer, or simply button them up and rock them as dresses on a night out. I love how blazers can take a casual outfit and quickly make it so much more chic without necessarily having it be all that put together. 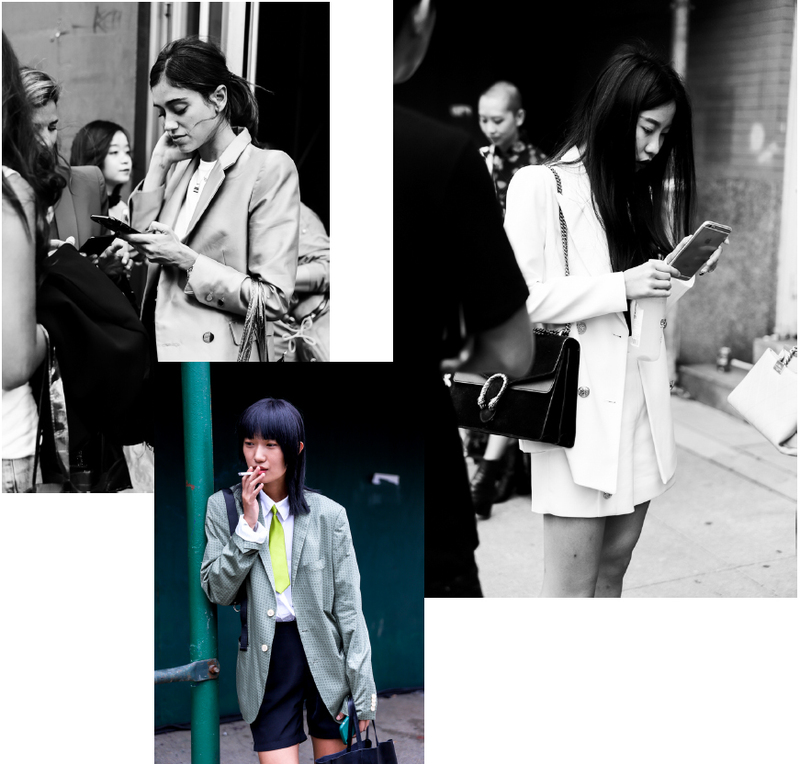 During fashion week, blazers were mostly worn to elegantly replace fall-weather outerwear. 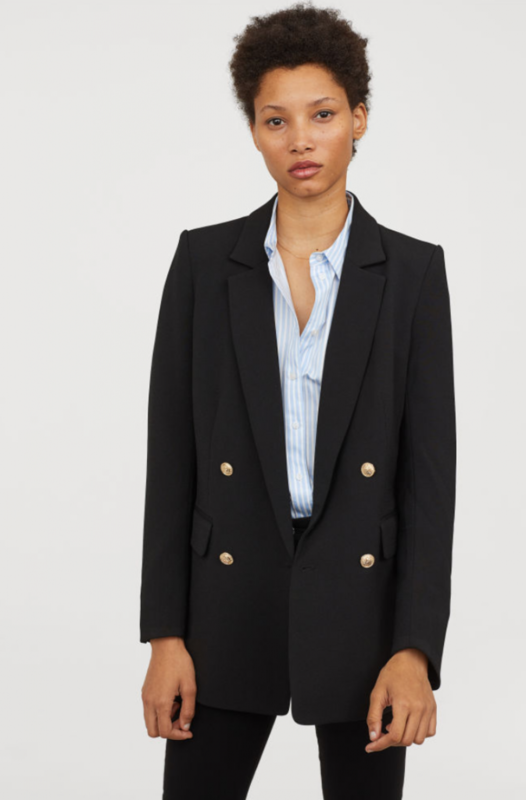 This double breasted blazer is the perfect length as well as ideally embellish with it’s beautiful gold military buttons. This colour is so trendy and perfect for Fall. Wear if by itself over a neutral outfit or in combination with the trousers to create a flawless pantsuit. Evidently THE trend of the season is leaning how to incorporate certain trends into your already-flawless closet. It’s all about picking and choosing what crazes catch your eye and assimilating them to your own personal style. Have fun, it’s the perfect time of year to experiment with fashion. Take advantage of the last few weeks of warm weather and don’t be afraid to explore uncharted waters. Value Village, (really) not just for Halloween!